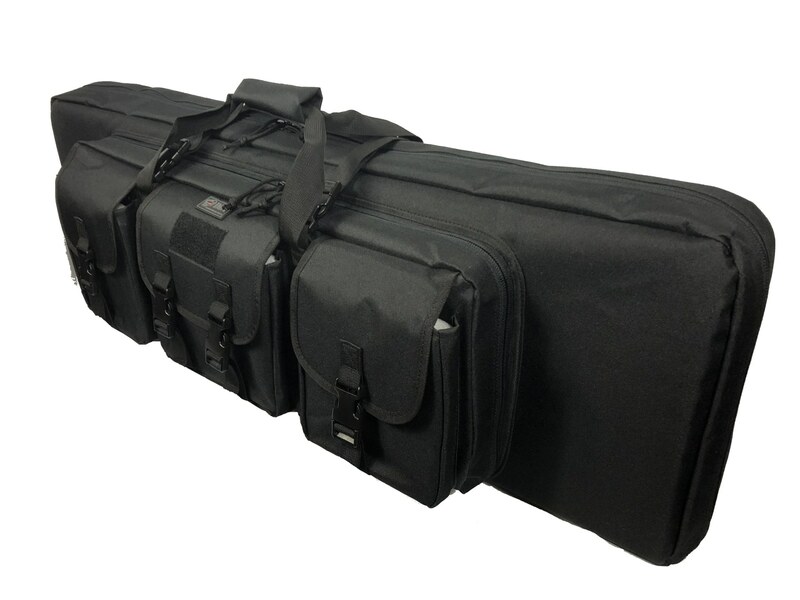 The DDT Rifle case is a winner on every level and stands out amongst its competitors for its superior ¾” closed cell foam all over padding which offers a greater level of protection. 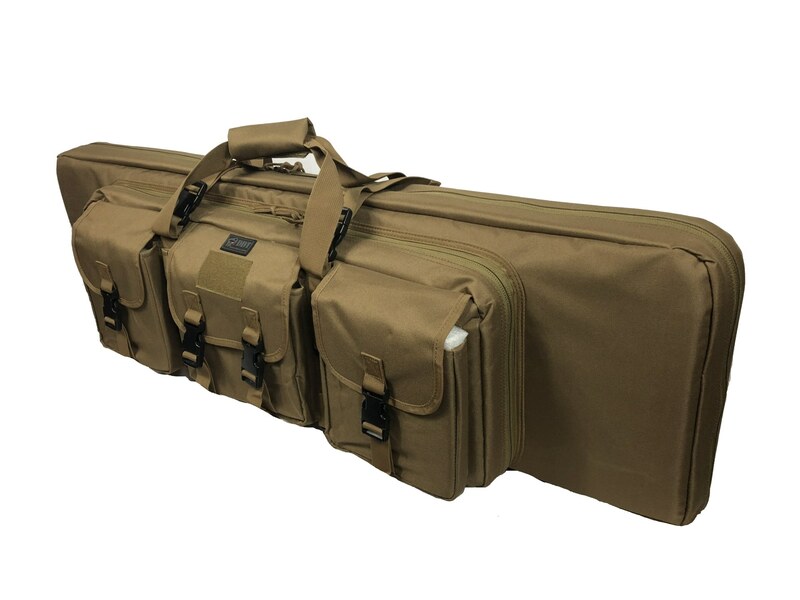 The rifle case has two velcro padded pistol pouches in the front pocket, holds two rifles in the main pocket, and has a fold out removable shooting mat that offers extra protection between your rifles. 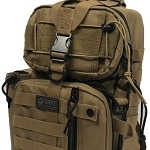 DDT was first to market with the tuck-a-way backpack strap design, you no longer have to fuss with buckles or velcro just simply zip and pull out when you want to use and tuck them in when you are done. 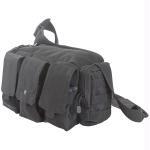 All zippers lock to make you compliant anywhere you go, and there are three additional pouches on the front for your eyes and ammo. 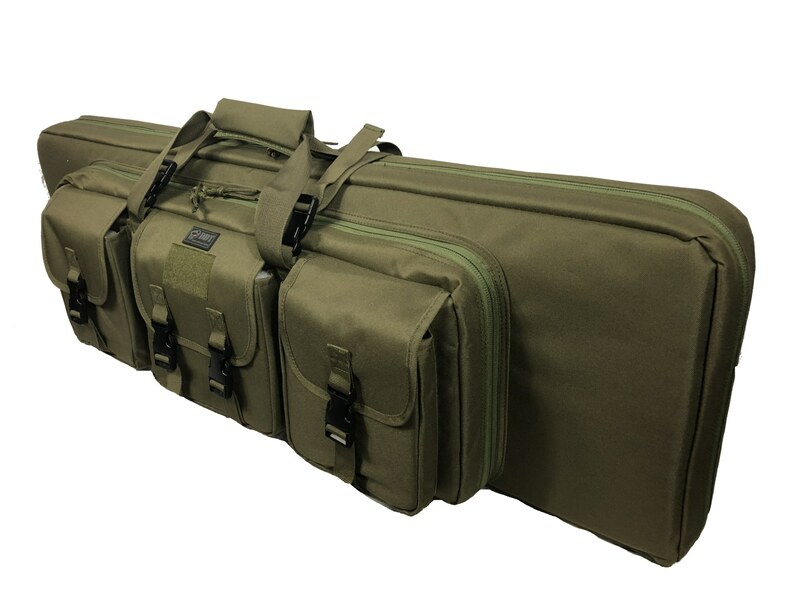 The DDT Rifle Case is constructed from a high quality 600 denier polyester with a PVC water resistant lining. DDT is a veteran owned and operated company who stands behind all our product with a lifetime warranty against manufacturing defects. Dimensions: 42?x14?x3? deep when fully filled out.